I LOVE doing AMA's. For those who aren't familiar they are an event held on reddit that stands for "Ask Me Anything" and the really good ones are where the guest takes that to heart and really does answer whatever questions come their way. I've done a few of these in the past, and had great fun each and every time. Anyway, I'm not sure if the above Mod Recommendation is a direct result of my pending AMA, or just good timing, but in either case, I'm grateful for the extra exposure. So...while I know I answer a lot of question in various venues, this is an official notice for people to come on down to /r/books tomorrow an stop by. Ask a question or just say hello but please stop by. I'd love to see you there. Here is the link where you can ask the questions. What alerted me to the release was an email from the publicist at Tachyon Publications (the people who released Hollow World). He saw a review and dashed me an email saying, "You probably already know about this, but in case you don't." Well I didn't so thank you Rick for alerting me to it. 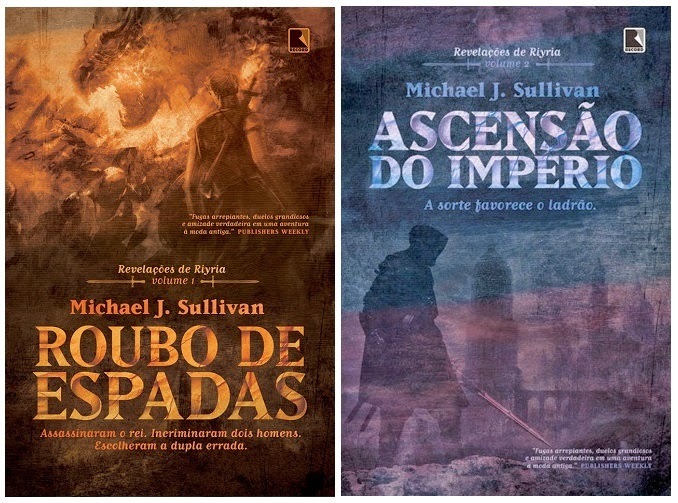 This is the first time I've seen the cover for the Portuguese version of Rise of Empire, so thanks for letting me know it's out there. I thought I return the favor to anyone who might be reading the blog. Not that I think this site is mecca for Brazilian fantasy readers, but hey, you never know. I've been been waiting for Ragnarok Publications to make it official, and they just did, so now I can tell you all about this. 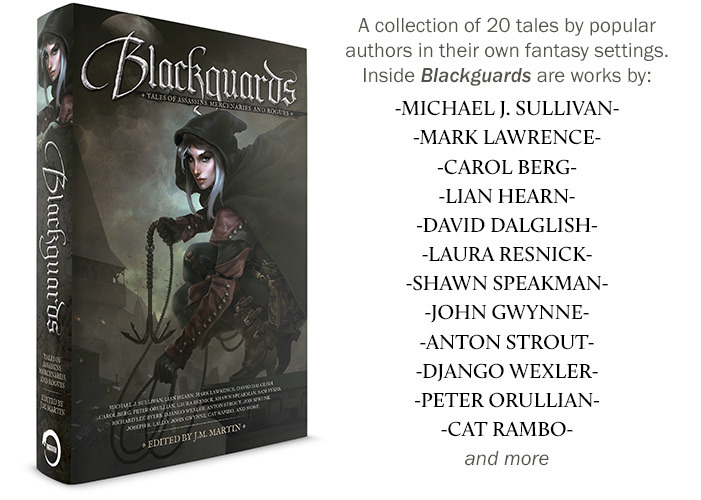 I've got a new Royce and Hadrian short story coming out in this amazing anthology. It's called Blackguards and a Kickstarter will be launching for it soon. The exciting things about anthologies is sitting side by side with some amazing authors...which is both terrifying and exhilarating. While I like to think I'm always bringing my "A" game, knowing you'll be read with others ups the ante a bit. There are also a few "bonus authors" who have stories at the ready if the Kickstarter earns to a certain level. This has been a really fun project and I can't wait to tell you more about it. Stay tuned for Kickstarter updates and a cover reveal in the not too distant future. This actually happened a while ago but with so much going on here, I've just not had the time to mention it. Hollow World is now Whispersync enabled! What does this mean? Well two things. 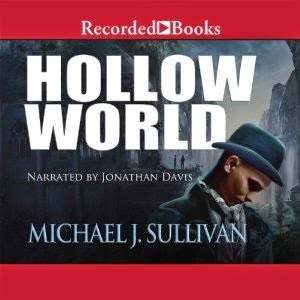 First, it means if you have the kindle version of Hollow World you can add the audio book for just $2.99 which is a significant savings over the $27.99 regular price or the even discounted member price of $19.59. That's quite a steal particularly considering what a great job Johnathan Davis did with the recording. But the really cool thing about Whispersync, is Amazon keeps your ebook and audio book synchronized. So let's say you are coming home from work and listening to Hollow World in your car. You come in, grab your favorite beverage to unwind and open your ebook - and voila! 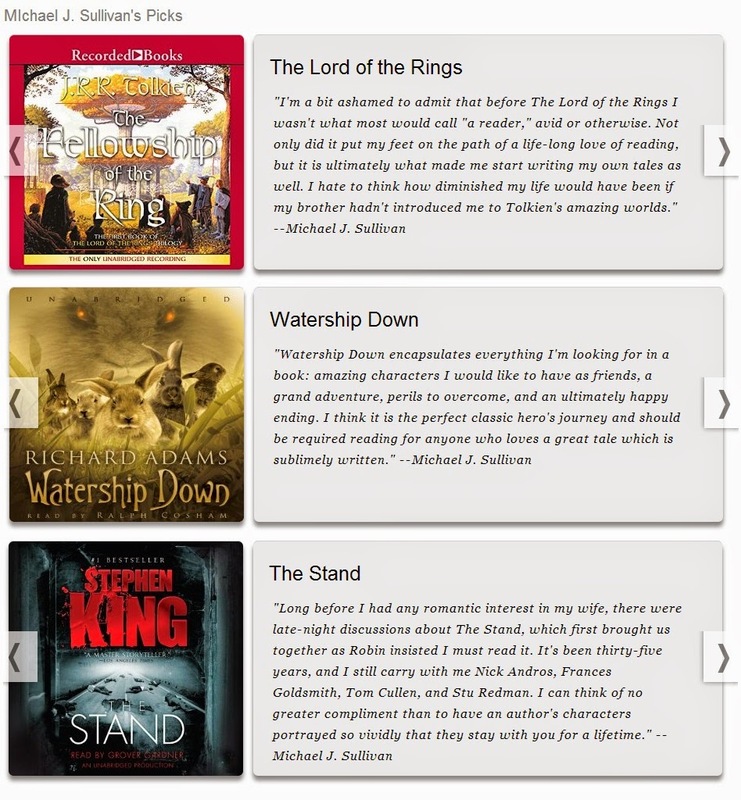 Your ebook is already on the page where you left off on your audio book. Now you read for a bit, have dinner, go to bed, and the next day you get into your car to go back to work. Bingo! Your audio book is already advanced to where you left off. How cool is that? Getting this technology for Hollow World was a bit trickier than some of my other books because I kept the ebook rights to the series, sold the audio rights to Recorded Books, and Audible's Whispersync team is needed to implement the technology to sync the books. But after some phone calls and emails to the right people Robin got it done. So it's up and running. And if you happen to be a Riyria reader...it's enabled for all the books in both Revelations and Chronicles. I just didn't mention it as they have been that way since release. I don't think the discount is as deep as Hollow World's is, but since Orbit controls those rights I don't have any say over such things. 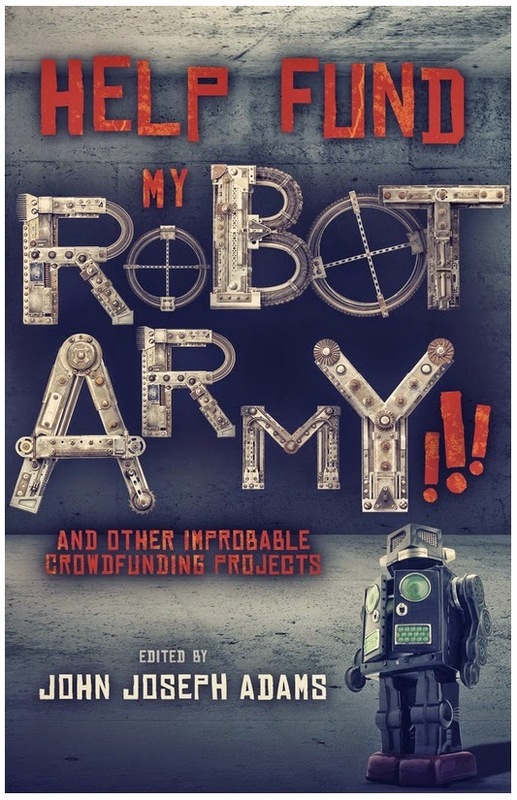 As I mentioned in my past posts, I'm really impressed with an anthology put together by John Joseph Adam entitled Help Fund My Robot Army. It was a clever idea, ask some noted authors (many of which have run successful Kickstarter Campaigns) to write a story using the format of a Kickstarter. In other words tell a tale using the description, FAQ, and comments section. I was pleased to provide a little tale which did a kind of homage to one of my favorite short stories, "The Monkey's Paw." I even got to Tuckerize (take a real life person and fictionalize them in the tale). Recently I got an email from John saying he's putting it on sale -- for just $0.99. What a steal! I've been on the Top 100 Fantasy Author List since Decmember 2012 but some of these lists I've not been seen on since the release of Hollow World, so that little short story is really doing a lot to elevate my visibility. Congratulations to John Adams for putting together an excellent anthology and getting it noticed. As a reader go get this book - it's an unbeatable price and a cool idea. I'm sure you'll find a lot of stories to love in it. Help Fund My Robot Army so I can crush your hopes and dreams by making my own come true! A brain-altering device and app for dealing with an all-too-common problem of television and film spoilers. With our device, you can live a Spoiler Free life and enjoy the media you consume without concern. NASA’s artist-in-residence program experiments with zero-G puppetry. David Tennant & Mary Robinette Kowal perform in space! Help fund A Memorial to the Patriots, a marble monument in Baton Rouge to the valiant and brave defenders of Houston, who lost their lives to the terrorist insurgency forces last year. I need to be on the outside what I feel I am on the inside: a lioness. With your help, we’ll summon the most holy, perfect, and eternal folded one: the avatar of the taco god. During this holy communion, we’ll learn the secrets of taco creation which we will then share with you! I have already conquered the world, but I need your help to build my time machine to make sure it happens. Or we all die. You can be part of the most realistic post-apocalyptic live-action roleplaying game ever . . . if you live long enough. Help us scan and upload entire minds . . . and change the future of consciousness research. In an uncertain world, you want #CatAssassins on your side! Backers receive an early look at how our kittens are primed for global takeover. Lost something important to you? Support this project to help fund a device that will find it, no matter where or what it is! Shadow City needs a hero. Prima Nocta wants to be that hero, because this place is really getting overrun with vampires. Tired of spoxy drainage? Together, we can “heal and reveal”! JOIN US on an interplanetary pilgrimage to the mysterious FACE on MARS, and help found a NEW TEMPLE to the sacred SPIRIT of MARS. A once-in-a-lifetime opportunity to send me, and perhaps some small part of you, beyond these days and into the future. I can make your wishes come true. Check out my magic talismans with a wide range of prices/number of wishes available. Time travel is one of humanity’s greatest dreams. Help me to develop my theoretical concept into a practical device! Life-Sized Arena Tetris! by David Malki ! Bring the world’s best puzzle game to a real-life gym near you!! An innovative solution to entertainment-overload. A new restaurant, offering the epitome of truly unique cuisine. Reunite a widow with her late husband, and help write the final act to a love story that transcends death itself. At last, a plan to remove the horrible blight of Cannes from the world. It will work, but I need your pledges! Help conserve one of the oldest species on Earth with a private nature reserve. Pedophiliac sparkly vamps must die, and you can help kill them! Unleash the “Teenage Vamplague” and take out these young punks forever. Waiting to hear about other Kickstarters? Back Updates . . . and get your updates! This is your chance to experience the ultimate adventure. Join us on asteroid X635s and discover the future. You only live once. Using state-of-the-art advances in neural uplink technology and biologically-based cybernetic vessel structure, this project will try to place a human consciousness where it has truly never gone before—into the body of an animal. The KISMET™ device from LIFE! corporation will streamline your day-to-day decision making and transform you into a better version of yourself! Restore Halloween to its rightful glory, and prove that ours is the most sincere holiday! 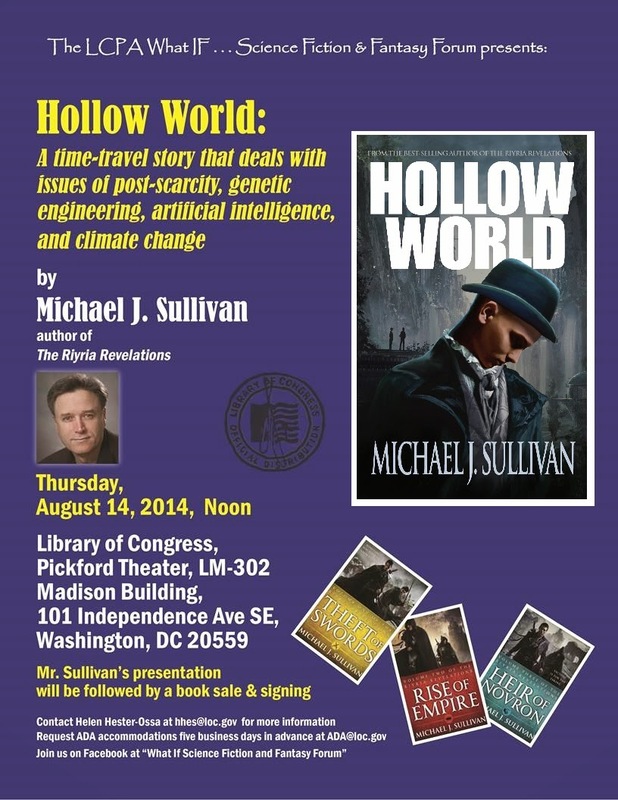 I'll be talking about my latest novel, Hollow World, as part of their "What IF Science Fiction & Fantasy Forums." Tomorrow will be my second trip there, and if the first time is any indication, this will be a lot of fun. You know the really neat thing about presenting at the Library of Congress? Well, you get a private tour before your presentation. If you've never been to the LOC yo HAVE to go...truly one of the most beautiful buildings in our nation's capital...and that is saying a great deal. I think it says a lot about the values of our country that books are given such an amazing shrine. I learned so much on the last tour, and I can't wait for tomorrow's. Oh, and I'll be signing books as well, so if you happen to be in the area, drop on by. I'd love to see you there. 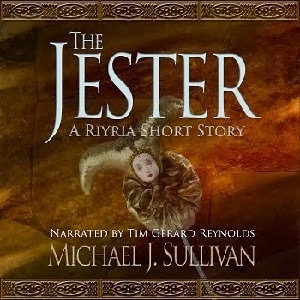 Some time ago I wrote a little short story with further adventures of Royce and Hadrian for the Unfettered Anthology, it's called The Jester. Recently, the rights reverted to me so I've put them out as an ebook. 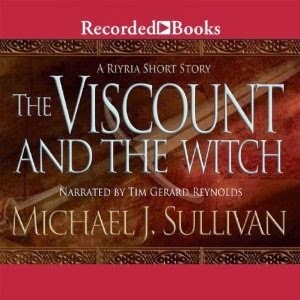 NOTE: This short was also released as a free audio book narrated by the always exceptional Tim Gerard Reynolds. 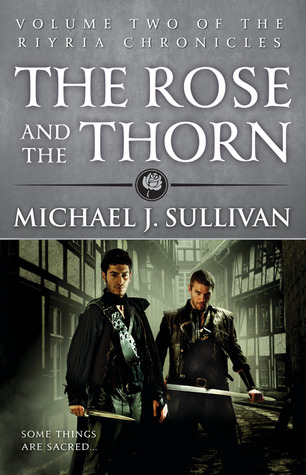 If you've not hear Tim voice Royce and Hadrian, do yourself a favor and pick up this freebie. I give this short away for free for anyone who asks, but I wanted to get it in the hands of more people so I've put it up on Amazon as well. The lowest price I can set a book on Amazon is $0.99 - so that is what it is priced at, but I do get 5 days out of 90 to make it free so the first two days are happening now. If you are on a non-Amazon platform, I'll be happy to send you a copy in whatever format you need (.epub, .pdf, .lrf, etc). Just send me an email with Jester as subject. Be sure and let me know what file format(s) you prefer and I'll get one sent over to you. One thing to note...if you are currently trying out Amazon's Kindle Unlimited, then please use the "Read for Free" rather than the "Buy with One Click" button. It costs you nothing, but will provide me with about $2 (if past lending library share holds true). I won't get credit unless you get at least 10% through, but it is short so that should be easy to do. Hadrian discovered the most fascinating thing about plummeting in total darkness wasn’t the odd sense of euphoria from the free fall or the abject terror from anticipating sudden death but that he had the time to contemplate both. The drop was that far. This is a standalone short story of 7,200 words. No prior knowledge of The Riyria Revelations or The Riyria Chronicles is required to enjoy it to its fullest, making this a perfect introduction for new readers or a chance for Riyria veterans to spend a little more time with old friends. 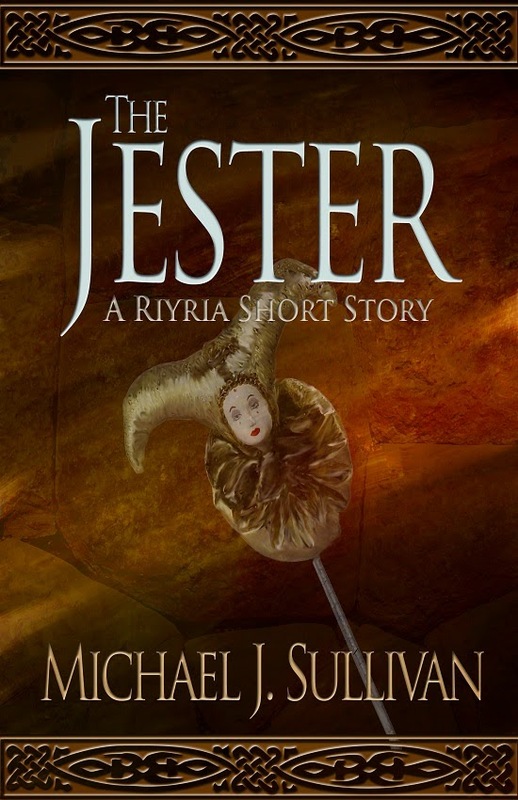 The Jester is a story of adventure, bonds of friendship, and a recognition that the choices we make dictates the future we find. If you haven't read The Jester. yet, now is a great time to pick it up. And if you have a friend or loved one who you've been wanting to introduce to Royce and Hadrian, please let them know as well. Anthony Ryan really burst on the scene with his best-selling debut Blood Song. He's a talented author, and a generous guy. 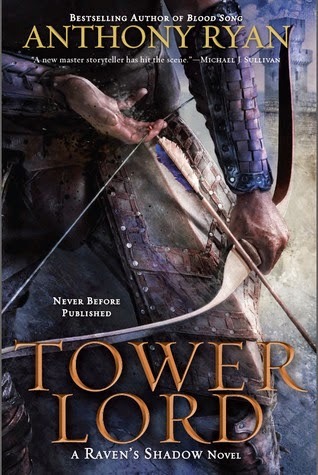 Right now he's running a giveaway for signed copies of his latest novel Tower Lord. That in and of itself would be great, but he's sweetened the deal by providing a bonus giveaway for people who pledge $20 to my ride to conquer cancer. He's actually doing two drawings. One for all those that pledge the $20, and the person who donates the largest amount will win a copy as well. For my own part, I'm also going to have Anthony draw a winner for a signed hardcover of one of my Rirya books. There aren't many of these books so that should be something special even for people who have already read Riyria. These hardcovers were created for sfbc.com (Science Fiction and Fantasy Book Club) and the entire print run for Theft of Swords is already sold out, so there are only a limited number of these in private stocks (including my own). I'm offering the winner a choice of any of my books including Blood of Thieves which is the omnibus of The Crown Tower and The Rose and the Thorn. Full details about the giveaway can be found at Anthony's website but you have to hurry. Drawing will be made tomorrow (midnight GMT on the 7th of August). As for the fund-raising effort...for those that don't know I'm riding 150 miles in two days to benefit John Hopkin's Cancer Center. I lost my father and sister to the disease, but I'm also riding in in memory of the authors we've lost to this terrible disease. Unfortunately the numbers are too large to mention them all but recent people who have fallen are: Jay Lake, A.C. Crispin, Iain M. Banks. I'm also riding for Sarah Chron, the amazing creative talent behind the Bookworm Blues review blog. 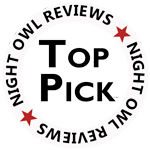 I'f long sung the praises of Sarah's reviews, one of the most respected in the industry. Sarah fought and beat cancer down once, but is back in the battle again. We are all pulling for her, and everyone fighting the good fight. If we raise enough money to beat this beast down we'll not have to have anyone battling it in the future. Currently, I've raised 72% of my $2,500 goal and I've seen a marked increase in donations since Anthony started the giveaway. I'm hoping with the generous support of a few more people, I'll be put over the top. 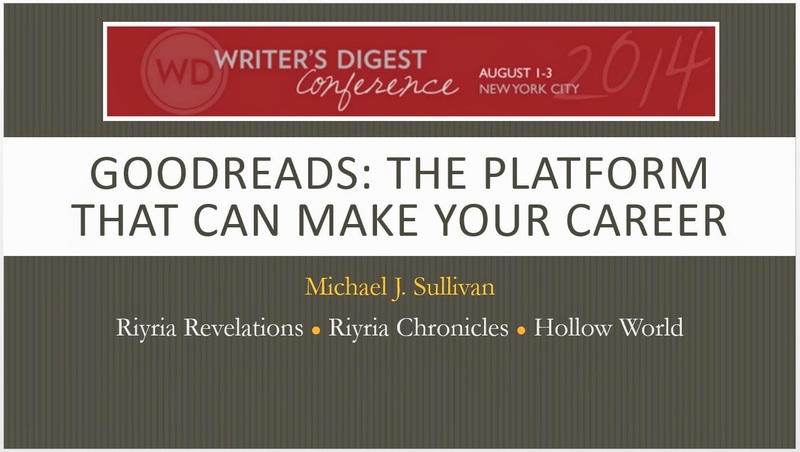 This weekend I spoke at the 2014 Writer's Digest Annual Conference. I want to thank Phil Sexton and all the people at WD for having me out...it was a great event (and I'm pretty sure their biggest ever). Author Branding (Pro: Fri at 11:10) - Words such as marketing, branding, or author platform cause many authors to break into hives, but in today’s publishing landscape building an audience is just as important to an author’s career as the writing itself. Branding is often misunderstood, frequently done poorly, or ignored altogether. 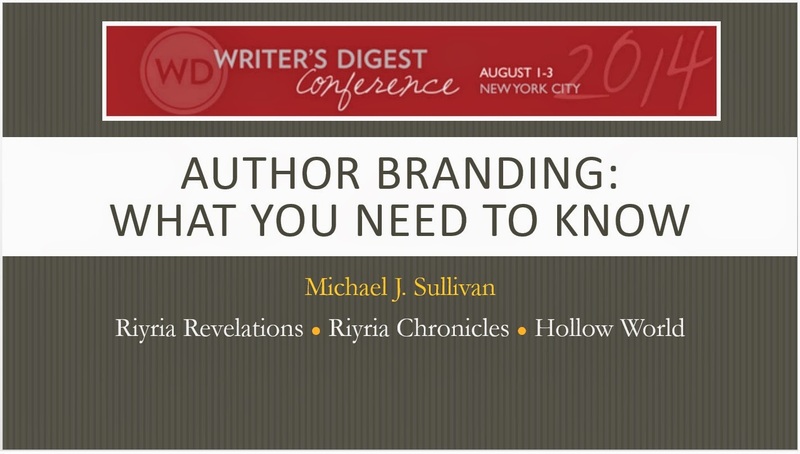 In this session, successful hybrid author Michael J. Sullivan will demystify branding and illustrate five important tools you need to develop a persona that will organically attract the people most interested in the types of books you write. Panel: Marketing Strategies for Independent Authors: (Main: Sat at 11:10) - The biggest challenge facing an independent author is getting the effectively promoting your work and motivating the public to buy it. There are a number of strategies for doing this right and making the best use of your time. But what if you haven’t got time? What if you don’t like or understand social media? Is it worth investing time and effort into setting up book signings? Are online retailers the key to success? Are specialty markets worth pursuing? Should you hire a freelance publicist and, if so, what should your expectations be? You’ll learn all of this and more, plus have an opportunity to ask your own questions at this invaluable session. Goodreads: The Platform That Can Make Your Career (Main: Sat at 2:40 pm) - In a recent Forbes’ article, Patrick Brown, the Director for Author Marketing at Goodreads, was asked to cite one of the most effective authors, he named Michael J. Sullivan “without hesitation.” Goodreads is an exceptional environment for audience building, but if done poorly, it can have disastrous results. 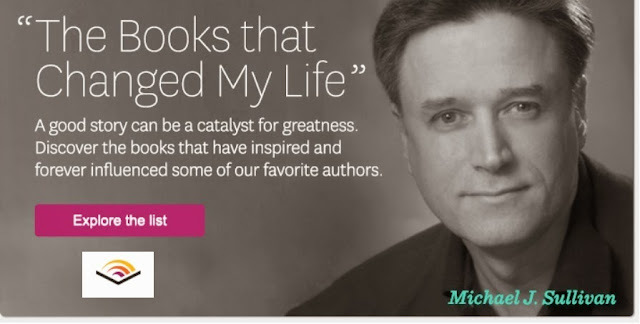 Michael will share the techniques he uses and provide more than a dozen helpful strategies such as how to maximize book giveaways, creating “secret-private" groups, and how to maximize author discoverability.